After an exceptional 2013 Automate continue their push on the varied fronts of D&B with the third release on their Deep imprint from Australian producer Fuj. Pressure Plates proves as menacing as it is musical, with hints of dub layered into a mix of tribal halftime drum rhythms and growling bass. This may not be a full-tempo roller but it packs a mighty punch! Over on the flip Terror Firmer dials things back a touch while amplifying the levels of tensions and gloom; ominous synths and deep sub bass pervade the mix with occasional swipes of distorted midrange reaching out of the tune to knock you off balance. The second half of the tune brings things full roll quite nicely, providing DJs with a useful weapon for switching between halftime and full frontal beats. Fuj is definitely one to watch for 2014! Check out the beats below and watch out for this one dropping at all good digital outlets from Jan 20th. Optiv & CZA continue their fine trend of hook-based rolling techstep with a pair of straight up dancefloor killers for Cause4Concern Recordings. Full-roll beats, dark modulated bass and that instantly recognisable C4C sound…there’s not much more to say really! Check out the clips below and watch out for the release dropping from Jan 6th. With so many artists celebrating a great 2013 with free giveaways, we thought it only wise to round up the selection of tasty freebies currently available! Firstly Xtrah has been kind enough to give us the VIP of Soundclash, a masterclass in minimalism and drum edits. To grab this, head to his Facebook page. Also from the Critical stable comes a cheeky VIP from Emperor who gives us the dubplate special of Monolith. Significantly wonkier bassline business than the original on show here, and again available for a wee like on Emperor’s Facebook page. State of Mind celebrate the impending release of their new album on BSE’s Blackout imprint with a free download of their BSE Collab Unconscious. As we’ve come to expect from both parties this is a stomping neurofunk belter imbued with faintly trancey chords and plenty of energy. Head over to the SOM Facebook page for your copy. The ever unpredictable Dawn Day Night steps up with a freebie of his own in the form of A Christmas Carol…droney zombified slow-dance anyone? Maztek & NPhonix have also gotten in on the act with a tidy slice of scuzzy neuro business, available for download either via Facebook or email – check out Maztek’s website for details. Finally S.P.Y gifts us the VIP of the legendary By Your Side, still as majestic as the original but with a few subtle extra touches. Blissfull liquid roller territory. Grab yourself a download from S.P.Y’s website. Foreign Concept is kindly raising a bit of money for Water Aid this Christmas by asking folks to donate in exchange for downloads of a couple of festive VIPs! First up there’s the amen tinged madness of Foreign Concept & Stray’s Bang It (Amen Bang Out VIP), which does exactly what it says on the tin, and for desert Foreign Concept & Xtrah’s Harsh Reality VIP delivering a healthy portion of sub bass and heavy kick drums. Check out the beats below and head over to the Just Giving page to donate. Go on, you know you want to. Horizons Music round off a great year with a cheeky new EP of deeper beats from Need For Mirrors and HLZ. The titular Rotor provides a dubbed out atmosphere and brooding bassline for a tune that is all groove; simple, but perfectly engineered. Pantheon ups the ante with a plethora of percussion fills giving the main break urgency and bassline modulations adding to the texture under lush top end synth work. Actress heads for darker territory, stripping back the pads and hitting in with agressive snares and punchy bass hits. Finally we’re treated to another groove-led production in the form of Broadwalk, with a precise break and a simple yet memorable bassline taking centre stage over a backdrop of subtle pads and swells. Check out the beats below and grab yourself a copy on vinyl or digital from the Horizons Store! Manchester’s NB Audio collective bring us another deep, dark EP this time from Nian Dub. Fans of Dub Phizix’s style of bashment influenced beats will definitely enjoy the opening track Aftermath – heavy kicks and deep sub combine with the unmistakable vocal stylings of Fox for a deft lesson in minimalism. Elsewhere on the EP we’re treated to dark Jungle rollers (Deliverance) rolling techstep (Antaeus), minimal steppers (Jazz Craft) and even a touch of Dub reggae and dubstep at the end of the EP – clearly Nian Dub is a man of versatile talents. Unfortunately no other tracks are online for preview, so you’ll need to pick it up to hear the rest – head to your favourite digital outlet to grab a copy. 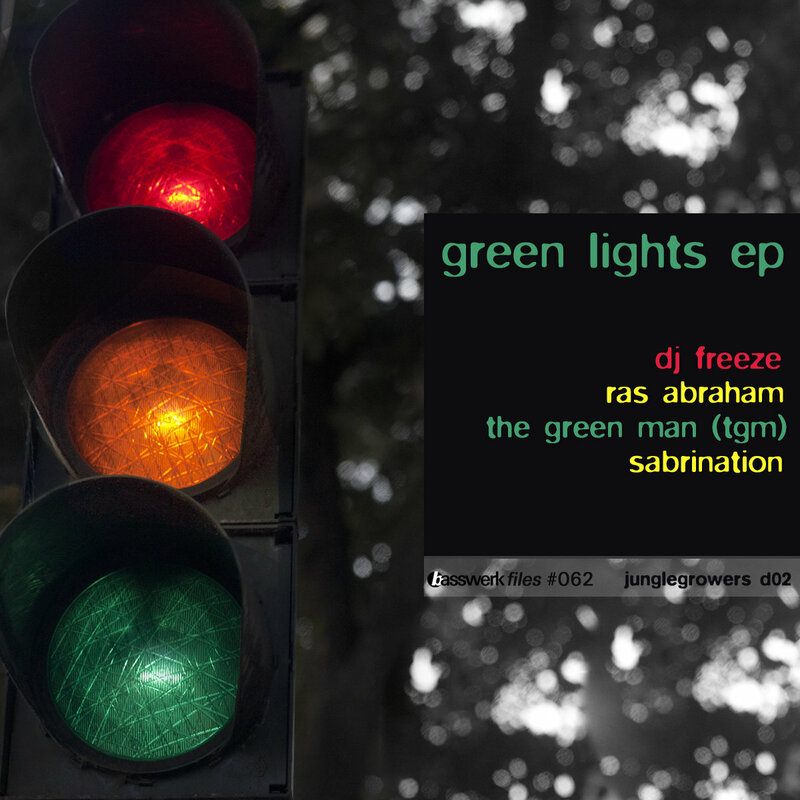 Basswerk return with some old school Jungle vibes on the Green Lights EP. Bouncy dubwise and jungle vibes abound on the Jungle versions of Junglist Soldier and Johnny 2 Bad, though for me the highlight of the release is TGM’s moody, dubbed out half-time remix of Junglist Soldier. Elsewhere there’s more rolling sunshine Jungle and even a cheeky bit of mellow Dubstep at the end in the form of A Greater Hood. Check out the tunes below and grab yourself a copy now via the Basswerk Bandcamp. Neonlight return to Lifted Music with another EP of their signature synth-led, 80s tinged drum & bass…putting the funk back into neurofunk, one might say. The EP kicks off with Power Hour, a track which rides high on a current of appropriately powerful and catchy melody underpinned with hefty sub and high impact drum lines. Next up comes Basso Continuo, which sees faintly salsa-ish rhythms on the intro giving way to a driving sub bass line decorated nicely with FX and synth flourishes, and topped off with a nice little synth melody just before the breakdown which sounds very Castlevania-esque. The 8-bit tinged sound which Neonlight pursue continues to endear their work to me! Finally we’re treated to the “Rock & Roll Edit” of Sprech Funk, which proves to be a no-nonsense slice of precise, rolling tech-funk. Three cheers for German engineering! Check out the clips below and grab the EP from your favourite digital outlet now! Eatbrain return with another slice of dark, hefty neurofunk to round out an exceptionally strong 2013 that has seen huge EPs from the likes of Nickbee, Telekinesis and Teddy Killerz. This time Hungarian veteran and longtime Jade collaborator Mindscape steps up to the plate, and fans of his previous output won’t be disappointed. Rat Pack hits home with massive snares, wonky bass and some apt sci-fi style samples, while Brightness proves to be a full on assault of aggressive midrange sawtooth and skittering breaks. Elsewhere BTK gets in on the action for the super catchy bass hooks and hypnotic lead melody of Road Rage, before Space & Time closes the EP with frenetic bassline modulations and a glitched up vocal slice. Check out the clips below and grab a copy on vinyl or digital from your favourite retailer!